We will be having a St. Patricks Day social at Kelsey Millers house (7 Fern St., behind Import House and Stephens) on Thursday at 9:00 pm! Come decked out in your best green attire. This week’s member spotlight is Vanessa Copetas be sure to follow her on twitter @vanessa_copz! 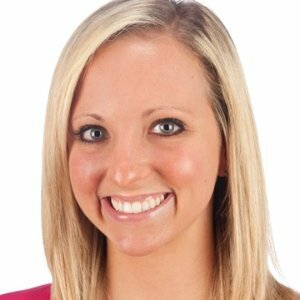 Emily graduated from the Scripps School of Journalism at Ohio University in 2012 with a degree in journalism and advertising management. She now works as a senior strategist at Ologie, a branding agency based in Columbus, Ohio. Emily touched on what exactly a branding agency does, and how you can incorporate PR into branding strategy. Branding is all about story telling. Ologie’s goal is to take a brand and make it more consistent and clear so that overtime they can be better understood and stand out from the crowd. “Everyone has a story, strategists tell them.” – @EmilyLasko from @ologie at @scrippsprssa. My inner branding nerd is freakin’ out! Emily talked about how Ologie works with a lot of high education clients. They take in clients who have problems, and they fix those problems. The collaborative work that the company does is what makes their work so great; branding is easier when done with many brains on one problem. Emily also gave some great advice to undergrads on how to prepare for their professional career. She stressed the importance of getting involved in extra curriculars, as well as being open to the idea of a post-grad internship. A big thank you goes out to Emily for coming in to speak at our meeting! We got a great perspective on branding and branding agencies, and how a PR degree applies to the work they do.